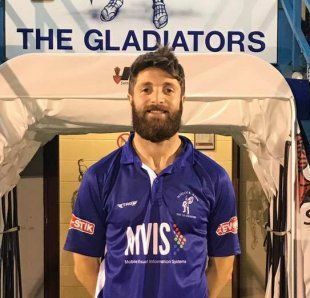 Craig, who is an exciting winger and a former Scottish under 19 international who joined Matlock from Alfreton Town in October 2018. He began his career with Leicester City being loaned out to Hereford United and Northampton Town before joining AFC Telford United in 2011/12. He then had spells at Worksop Town and Buxton before being transferred to National League North Bradford (Park Avenue) for the 2015/16 campaign. A move to Salford City followed a year later before in May 2017 he signed for Gainsborough Trinity, teaming up with current Matlock manager Dave Frecklington.He had joined Alfreton during the summer of 2018.